Last weekend I headed to London to catch up with some lovely bloggers I know from around the country. Usually when I’m visiting the capital I am dashing between trains, hotels and events without a minute to spare. This time was different. 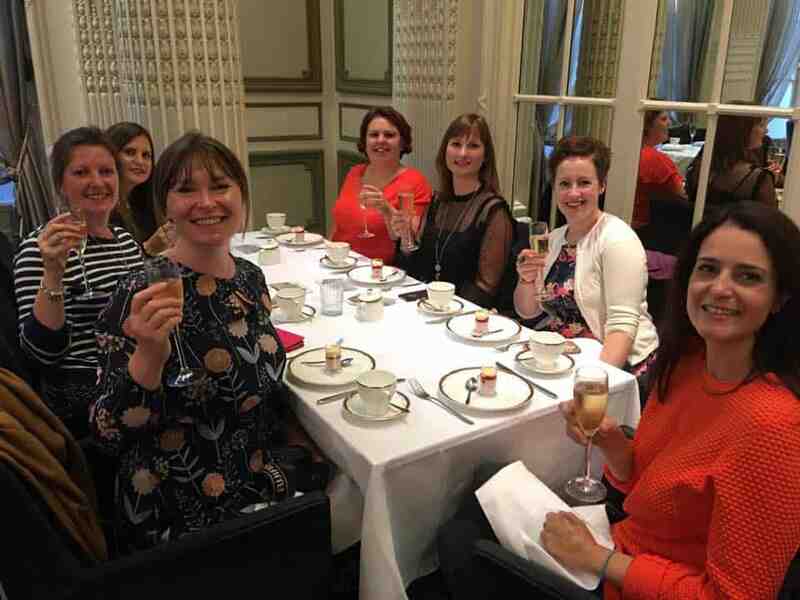 A group of us arranged to meet for a special treat after an invite to afternoon tea at the Waldorf Hilton in Covent Garden. Who hasn’t heard of The Waldorf? Its reputation as one of London’s most luxurious hotels in the heart of the West End precedes it. What better location to meet up with these lovely ladies: Franca from A Moment with Franca, Kaz from Ickle Pickles Life and Travels, Cathy from Mummytravels, Maria from One Tiny Leap, Nell from The Pigeon Pair and Me, and our chief organiser Zena from Zena’s Suitcase. As soon as we were greeted by the impeccably smart doormen and walked into the crystal chandelier decked lobby we were transported far away from the hustle and bustle of the streets outside. The air was filled with the sound of piano music and the aroma of fresh flowers. It was a welcome shock to the senses that soothed us ready for the decadent experience to come. The attentive doorman escorted us past the grand piano and lounge bar to the cloakroom were we shed our weighty weekend bags and coats. The Homage restaurant is set back from the front of the hotel, down a corridor that feels like the entrance to a private members club. It has played host to stars of stage and screen who have treaded the boards of the nearby theatres and the fans desperate to see them. It’s quite a thrill to think that Elizabeth Taylor and Pavarotti once sipped tea and savoured homemade delicacies in among the Homage’s Edwardian pillars and gilded walls. Our table was ready with seven settings of Royal Crown Derby crockery on a crisp white table cloth. The champagne flutes were quickly charged with bubbles and our amuse bouche of lemon custard and raspberry mousse was served in glasses not dissimilar to dainty little beer mugs. It was the perfect starter, light and full of flavour, leaving us wanting more. Before the champagne had totally gone to our heads the friendly waiter asked us to choose from an array of black teas, white teas and infusions. I couldn’t resist trying the exclusive Waldorf Tribute Blend. This was a black tea with ‘a combination of malty, peak 2nd flush Assam tea with a hint of the evocative, smoky Lapsang Soughing tea’. It was rich and delicious. The tea arrived just head of china plates arranged with crustless sandwich fingers and oak smoked salmon blinis. While the selection of sandwiches was traditional – tuna, ham, egg mayonnaise and coronation chicken – their ingredients had an interesting twist to tantalise our taste buds. The breads were made with carrot, basil, onion and Mediterranean flavours. While we ate there was light strumming from the resident harpist and interludes of recorded music from the roaring 20s. It matched perfectly with the refined mood of the venue and allowed gentle chatter which was pretty much non-stop on our table. Just when I was starting to feel surprisingly full the ‘main event’ of the afternoon tea arrived: a three tiered cake stand piled with warm plain and raisin scones, Devonshire clotted cream and jam, macaroons, a cream slice complete with an edible Waldorf Hilton logo, a zesty orange cake and an elaborate chocolate mousse cup. I sadly didn’t have room to test all of the pastries but what I did was mouth-watering. Who knew delicate bites like this could be so filling? There was one final treat for us before we departed for what was an extremely busy weekend in the capital – a cocktail from The Waldorf Hilton’s bar, God Godfrey’s. I settled on a Whoopee which is a gin-based drink with elderflower and citrus fruits. It was delicious, smooth and refreshing. If only we’d had time for another! Meeting friends for afternoon tea at The Waldorf Hilton in London is a special treat you won’t regret booking and the perfect pre-West End show experience. I wouldn’t hesitate to return with Mr Tin Box to dine as a couple or with a group of friends. However, I’d probably leave our four and two-year-old girls at home for the sake of preserving the beautiful crockery and ambiance. 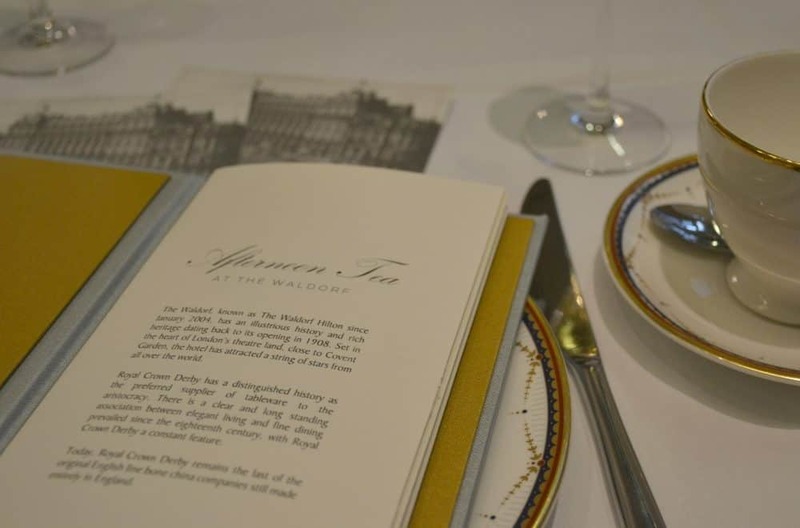 We were treated to the Waldorf Afternoon Tea with a glass of Champagne (£49.50). You can also choose from the Classic West End Afternoon Tea (£39.50) or Westminster Afternoon Tea with sparkling wine (£45.50). 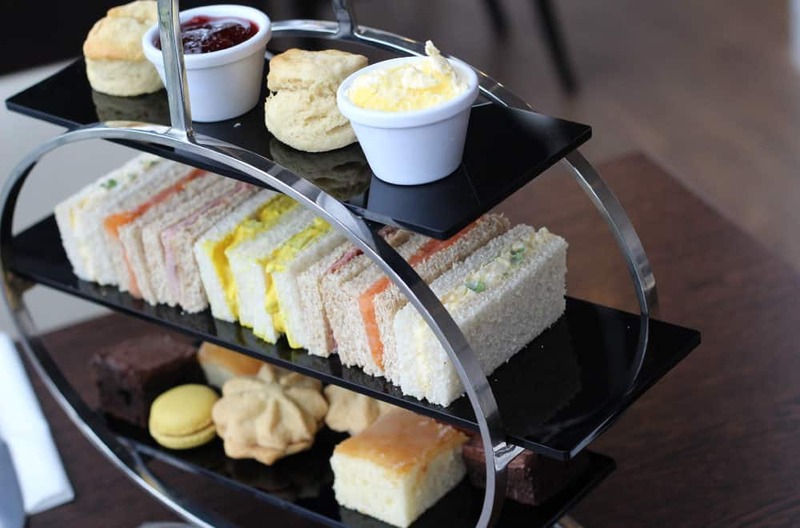 Afternoon tea is served from 1pm until 3pm Monday to Sunday. Disclosure: we were guests of The Waldorf Hilton and received a complimentary afternoon tea. TraveLynn Family – Jenny recently posted…THE ASIA INTERVIEWS – Milana’s Travels chat about KOH SAMUI, Thailand. When I finally get round to booking a West End show this is where I want to go beforehand! This is part of London life I really miss! You’re right, my trips to the capital these days are always done at lightning speed, so nice you could sit down with some company and actually enjoy it!! Exactly! I loved Traverse but this trip felt so much more relaxed. I think it was this being the first stop that set the tone! I agree. It is such a luxurious place and I loved the 1920s decor. 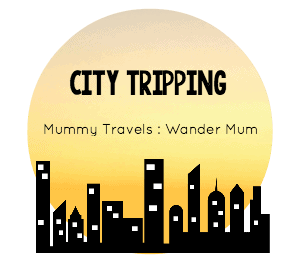 It was very refined and such a fab experience while in London! Never done afternoon tea, but wanna try next time in England! I just wrote about my whirlwind long weekend in London and I regret not having an experience like this. How fun! Ooh what a perfect child-free treat with friends! I love the sound of catching up with a glass of bubbly and a few dainty sandwiches and scones. I see btw that you don’t follow the Cornish or Devon way of eating your scone… you just mix the cream and jam all together! Looks delicious! I would love to try that amuse bouche and the scones! So great that you got to meet up with fellow bloggers. It sounds like it would be a lot of fun. How lovely. I miss real good scones and proper tea. looks like a nice lunch. It is such a stunning and quintessentially British hotel – definitely worth going next time you’re in the capital! It was a lovely treat and definitely something I’d go back and do again! If you get a mo it’s lovely! Thank you so much for the invite! We have to plan to do it again sometime! Aw it looked amazing , I was so sad to miss it but these lovely things all come at the same time don’t they? It all looked very lovely. It’s nice being able to get dressed up and have a fancy day every once in awhile.